I'm a Yankee born and bred, and when I was a child, I had a narrow view of Southern food. I thought it consisted mostly of collard greens, grits, sweetened iced tea, cornbread, and fried chicken. 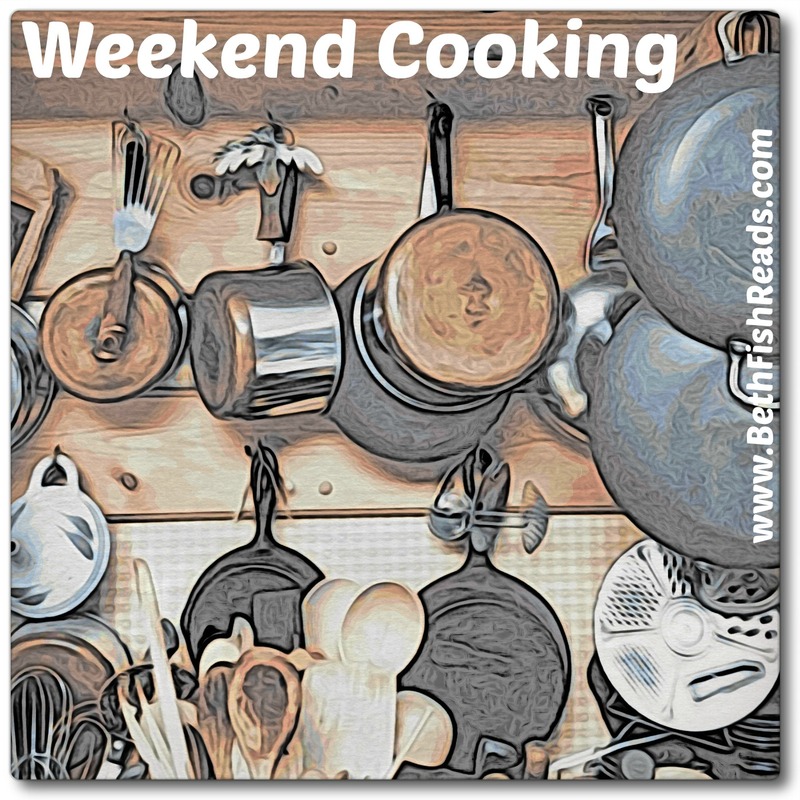 Of course, as I matured and traveled, read and cooked, I learned just how wrong I was. 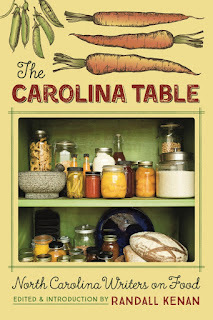 The short essays collected in Randall Kenan's The Carolina Table: North Carolina Writers on Food celebrate all kinds of Southern food and especially its connection to family and tradition. The stories take us back to grandmother's kitchen or an aunt's vegetable garden. They remind us how a family recipe can resurrect precious memories. They return again and again to the role food plays at all of life's important moments, not just deaths and births but Sunday supper after church and lazy summer picnics. I chuckled at Northerner Fran McCullough's discovery of the proper way to cook butter beans. Lee Smith pondered the differences between the food her mother cooked for the bridge club and the everyday dinners she made for the family. Bridgette Lacy made me miss summer with her essay on the splendor of garden-fresh tomatoes and the perfect mater sandwich. Daniel Wallace convinced me that the North Carolina Piedmont is the place for barbecue. I agreed with Marianne Gingher that "you can taste 'loving care' if foods are truly prepared with it." I smiled at Cathy Cleary's description of how homemade pork sausage changed her diet. Who could resist an essay that begins "Food is her only currency"? Diya Abdo, a Southern transplant from Jordan, tells that story. 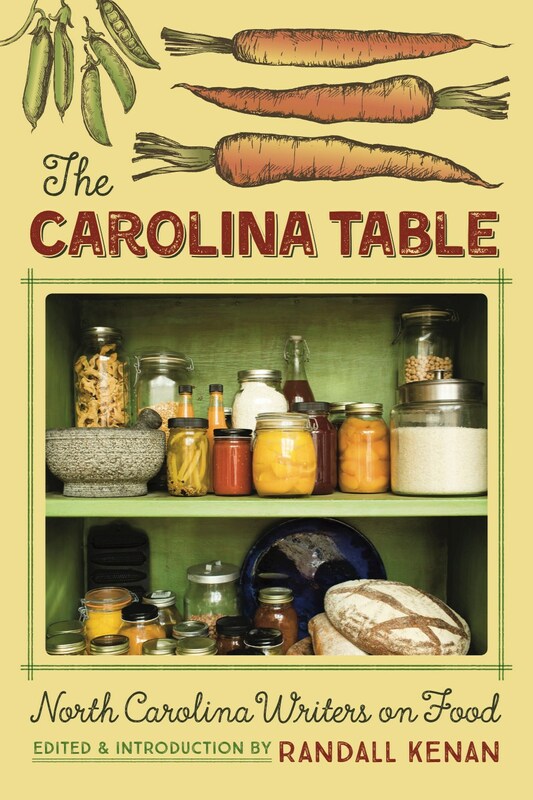 Several of the essays in The Carolina Table are accompanied by a recipe, like Jill McCorkle's family pound cake, but the collection is at heart a love story to family and a confirmation of the way food binds us across space and through time. If you like food writing, personal essays, Southern writing, and just plain good writing, you'll love the essays Randall Kenan gathered between the covers of The Carolina Table. Pour yourself a sweet tea, settle into the porch swing, and enjoy an afternoon of reading. Essays on food and food memories are always enjoyable -- your examples are quite appealing. The best food bloggers at least sometimes write pieces like that, which is what makes all this fun. This one sounds like a perfect gift for the Southerner on your holiday list. This sounds so fun and I love the southern focus as the cuisine is so distinct. Though I do admit even though it puts my Southerner status in jeopardy in my opinion the only way to cook butter beans is to not! This sounds like a book I would enjoy reading, never mind giving it away! I loved The Writers and Artists Cookbook as well, so thanks for the recommendation. I very much like the food journal and a slice of life type books. Glad you highlighted this one. I am going to see if this book is available at my library, I always enjoy learning about (and trying!) regional American foods. I have really started to enjoy cooking again, now that we have settled in. 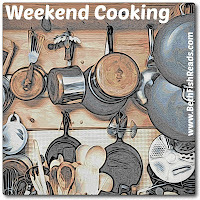 Thanks for hosting, have a great weekend. I love food essays, and this sounds like a winner. having just driven through North and South Carolina I think I would like this book. Catching up on missed posts.Loving this book.As a Brooklyn girl southern cooking was something foreign .As an adult its so delicious &these essays are so lovely.